CarGurus has 2,012 nationwide A8 listings starting at $1,500. When it comes to Euro-styled posh, power, and panache, few rivals beat Audi’s flagship A8 sedan. Despite a hefty list of changes for the 2015 model year, this 5-passenger full-size luxury sedan will show off a few added tweaks for 2016. First of all, the 117.8-inch regular-wheelbase trim level, available to certain current A8 trims, is slated to be phased out, leaving the 2016 versions toting only the 122.9-inch long wheelbase. A couple of further tweaks to the front and rear bumpers, including sport front air intakes and an upgraded diffuser in the rear, are also on tap, as is a new Vermont Brown hue for the leather accents and upholstery. With the expected deletion of the 117.8-inch wheelbase iterations, look for all trims, which include the base 3.0T, the up-powered 4.0T, the diesel-packing TDI, and the flagship W12, to carry the “L” (extended wheelbase) designation. Additionally, each 2016 A8 will again be delivered with intelligent all-wheel drive (iAWD), thus all are assigned the traditional Quattro label. And although this hefty 4-door offers a wealth of cabin space, acreage in the trunk is, alas, another story. Expect the A8’s comparatively paltry 14.2 cubic feet of toting space to remain a little less luggage-friendly than that in most of its competitors. Again for 2016, the entry-level A8 3.0T packs the 3.0-liter supercharged V6 powerplant, managed by a standard 8-speed shiftable automatic transmission (with steering-wheel-mounted paddle shifters) to put out 333 hp and 325 lb-ft of torque. Look, as well, for mileage to return at an estimated 19 mpg city/29 highway/22 combined. For significantly more grunt, check out the 4.0T trim, which remains toting the turbocharged 4.0-liter V8 engine, again under the auspices of the 8-speed shiftable automatic. Expect 435 hp and 444 lb-ft of torque from this peppy drivetrain, with mileage slated to return at 18/29/22. The A8 TDI, meantime, is again scheduled to feature the uber-competent 3.0-liter turbodiesel V6, with the ubiquitous 8-speed shiftable automatic efficiently managing 240 hp and 428 lb-ft of torque, to the tune of 24/36/28. Remaining at the pinnacle of power, the W12 trim boasts a normally aspirated 6.3-liter W12 mill that again combines with the 8-speed shiftable automatic transmission for a whopping 500 hp and 463 lb-ft of torque. Audi, by the way, alleges a 0-60 time of 4.4 seconds and a top end of 130 mph for its 12-cylinder flagship trim, but mileage obviously suffers at 14/22/17. As for appearance bling and creature comforts, expect the 2016 A8 lineup to boast, depending on the selected trim, 19- or 20-inch alloy wheels, LED headlights, and a power sunroof outside, with leather upholstery, heated power-adjustable front seats, memory for driver's settings, and full power accessories among the cabin accoutrements. Cruise control and a power-adjustable tilting and telescoping steering wheel, of course, return for the upcoming year, along with dual-zone (3.0T) or 4-zone (4.0T and higher) automatic climate control and an auto-dimming rear-view mirror. Look for a rear-view camera, as well as front and rear parking sensors, to be delivered with all 2016 A8 iterations, while higher trims complement these with a standard surround-view camera setup. Also returning standard in the higher trims is a remote garage door opener, with the W12 returning standard heated rear seats and a cooled storage bin. Techno-bling, meanwhile, is expected to again include Audi’s Bluetooth-integrated and WiFi-capable MMI (Multi-Media Interface) infotainment configuration that includes GPS navigation and real-time traffic, all displayed on an 8-inch touchscreen. Entertainment, furthermore, includes a standard Bose audio system boasting 640 watts, a CD player, 14 Surround Sound speakers, satellite radio, and an auxiliary audio input. Additionally, the W12 again features standard rear-seat DVD entertainment. Options in the 2016 A8 are slated to include a Media Package with iPod and upgraded USB connections, and, for the W12 only, an available Executive Rear Seat package boasting a rear relaxation seat with power footrest, rear control of the front passenger-seat position, and an extra 12-volt power outlet. Standard safety equipment slated to return aboard the 2016 A8 includes 4-wheel antilock brakes (ABS), traction and stability control, front side-mounted airbags, front and rear head airbags, daytime running lights, front fog/driving lights, and turn-signal-integrated mirrors. Pre- and post-collision safety systems also remain standard on all trims, as does a remote antitheft alarm. Additionally, the W12 again comes delivered with a standard heads-up windshield display and blind-spot monitor, each of which is optional in lower trims. Furthermore, the W12 remains the sole variant eligible for an available Driver Assistance package that includes adaptive cruise control, lane-keeping assistance, and pre-collision braking. All trims, however, can be delivered with the optional Night Vision Assistant technology, which uses an infrared camera to detect pedestrians at night up to 1,000 feet away. Look for the 2016 A8 stable to begin moving into dealer showrooms late in 2015, where it will rival the likes of Mercedes-Benz’s tech-loaded S-Class, BMW’s soon-to-be-upgraded 7 Series, Porsche’s uber-performance Panamera, and Jaguar’s equally well-wrought XJ. What's your take on the 2016 Audi A8? Users ranked 2016 Audi A8 against other cars which they drove/owned. Each ranking was based on 9 categories. Here is the summary of top rankings. 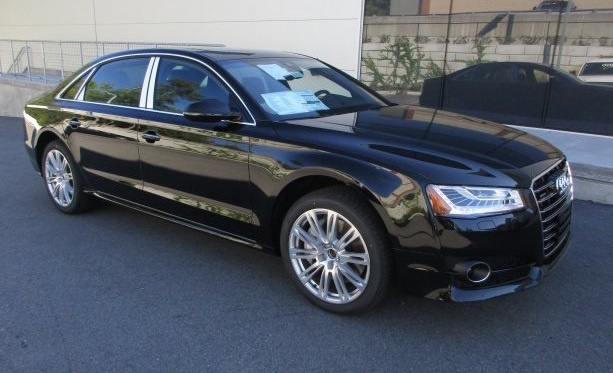 Have you driven a 2016 Audi A8? 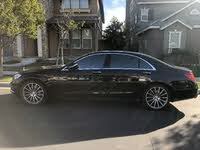 best extended warranties on Audi A8L sport- cost I find these policies very expensive to warranty this car when out of the 50,000 mile Audi warranty , especially the electronics. Any thoughts?